Need help regarding your mobile device with emails and other hosting features? 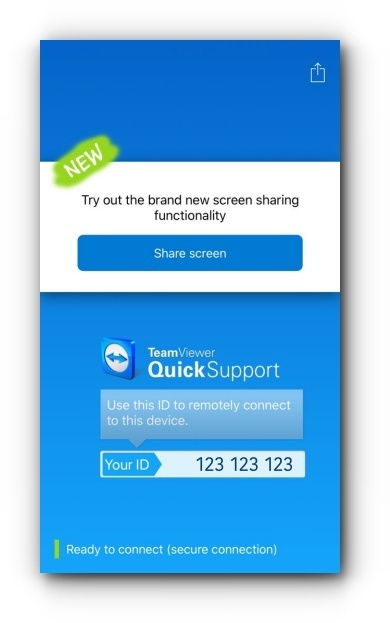 You may now allow support to remotely connect to your mobile device using TeamViewer QuickSupport App. Follow the instructions below on how to use it. 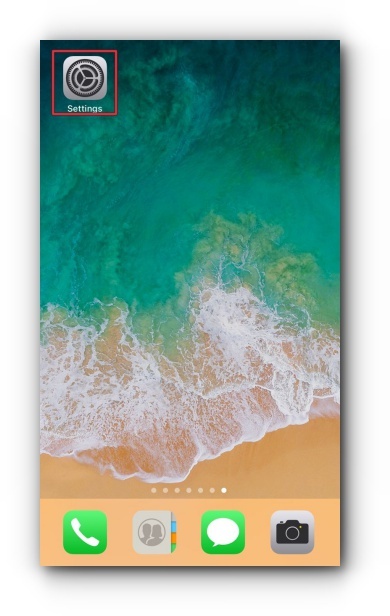 This application is only applicable for iPhone devices with iOS 11. Step 1. 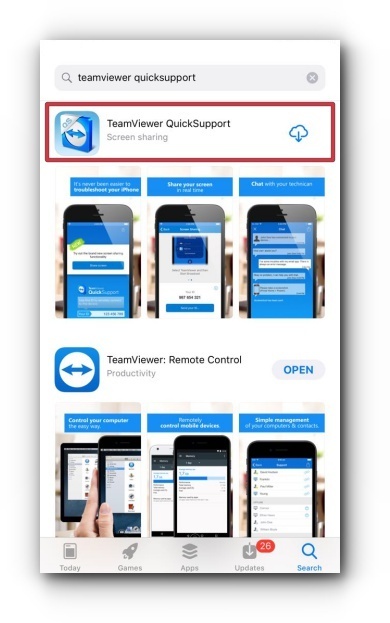 Install TeamViewer QuickSupport via App Store. If you already have one, proceed to step 2. Step 2. Enable ‘Screen Recording’ on your ‘Control Center’; go to ‘Settings’. If this is already enabled, proceed to step 7. Step 3. Tap ‘Control Center’. Step 4. 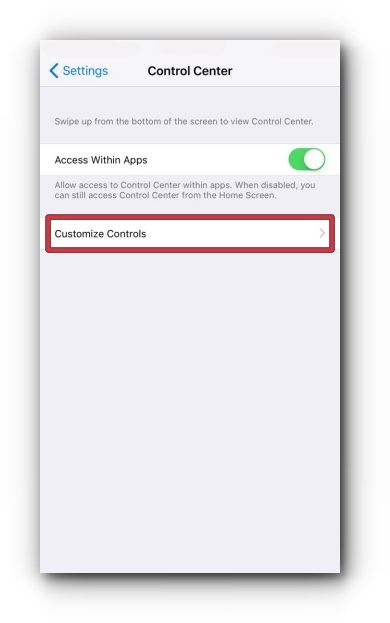 Tap ‘Customize Controls’. Step 5. 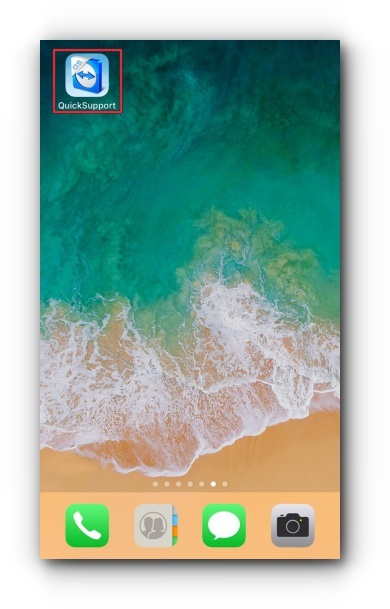 Add ‘Screen Recording’ by pressing the ( + ) plus icon. Step 6. 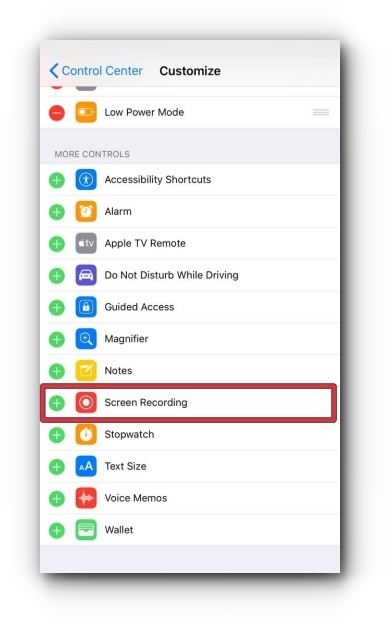 ‘Screen Recording’ should be added to the Control Center. Step 7. 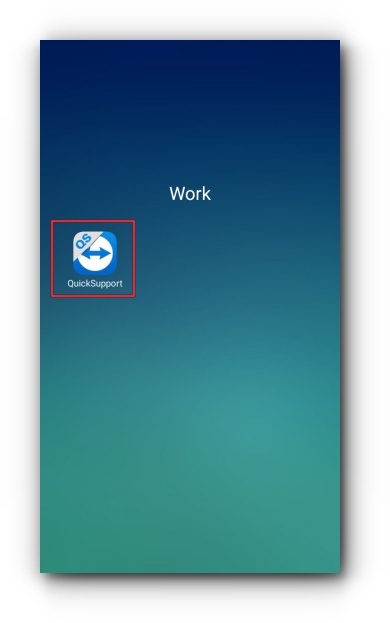 Open ‘QuickSupport’ App. Step 8. 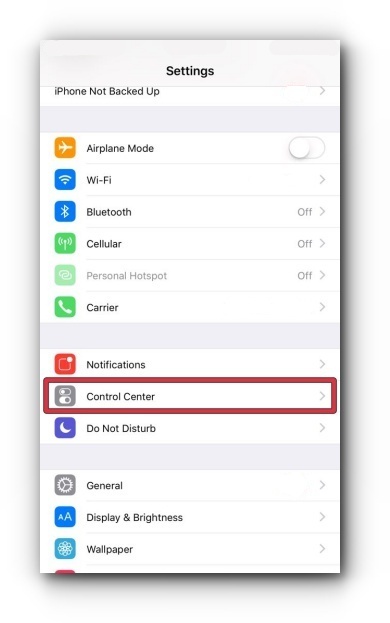 If you have AssistiveTouch icon enabled on your screen, tap it and select ‘Control Center’. Otherwise, slide up. Step 9. 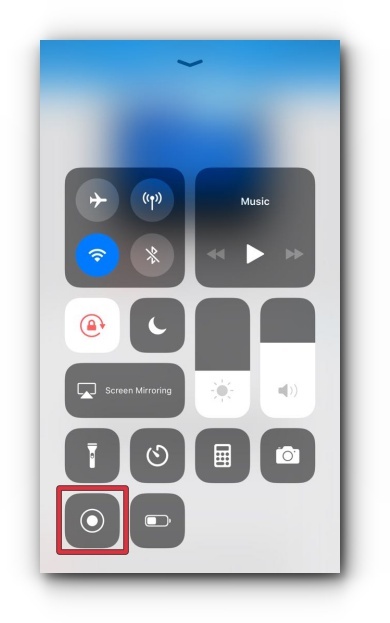 Press deeper ‘Screen Recording’ icon (if 3D Touch is enabled otherwise touch and hold the icon). 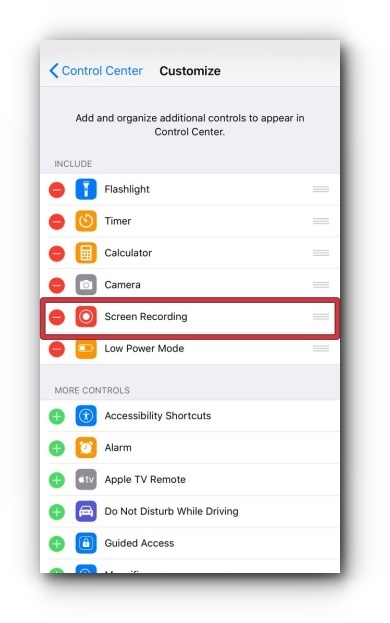 Your screen will ask you to select the screen recording type (shown in the image of step 10). Step 10. Select “TeamViewer” and tap “Start Broadcast”. Step 11. 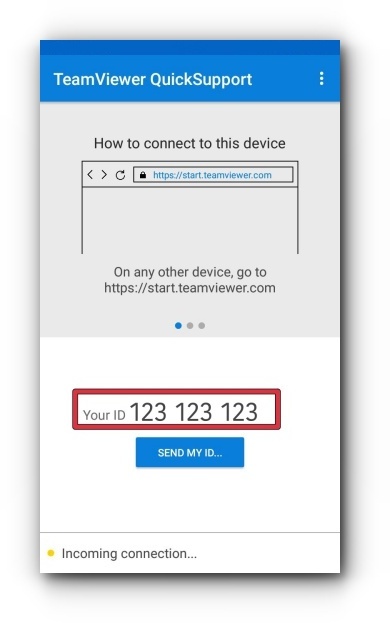 A QuickSupport notification will show your ID. Provide the information to the support engineer assisting you. Step 12. 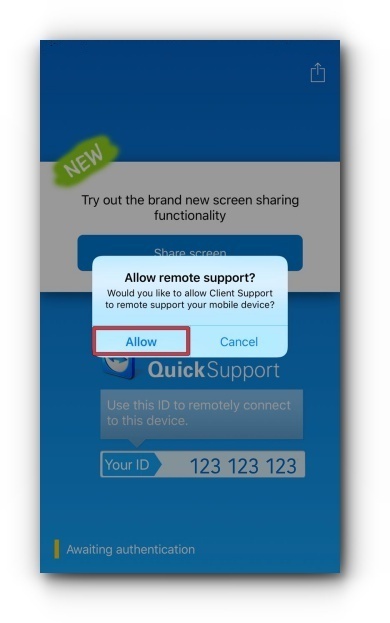 Another QuickSupport notification will prompt asking you to allow the support engineer to remotely access your device. Tap on it. Your screen will be viewed by the support engineer assisting you. Step 2. 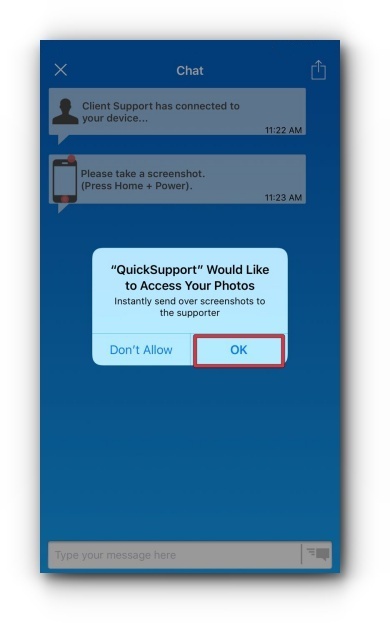 Open ‘QuickSupport’ App. Step 3. Provide ‘Your ID’ to the support engineer. Step 4. 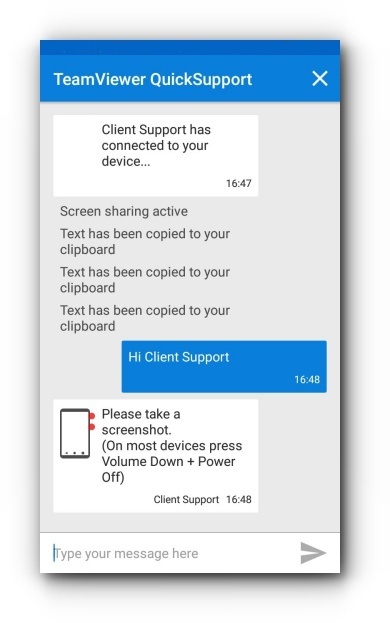 The support engineer will then connect to your device. 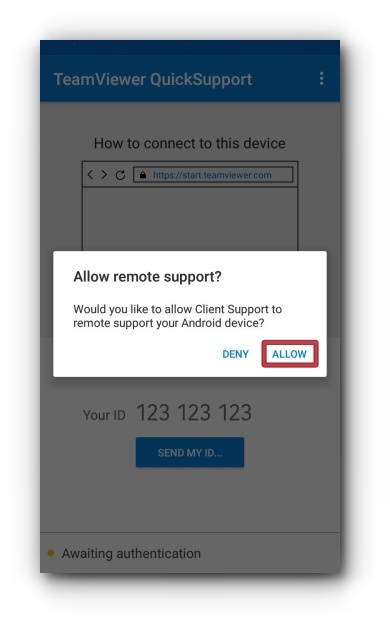 A pop-up will show ‘Allow remote support?’; tap ‘Allow’. Step 5. Once connected, Vodien’s support engineer would be able to chat with you. Step 6. The support engineer may ask you to provide a screenshot. Click ‘OK’ when this is requested. Step 7. If you have AssistiveTouch icon enabled on your screen, tap it and select ‘Screenshot’. Otherwise, Press Home + Power button. 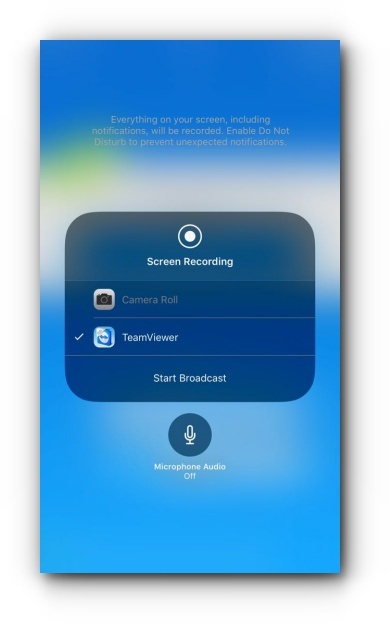 The screenshot will be automatically sent to the support engineers view. 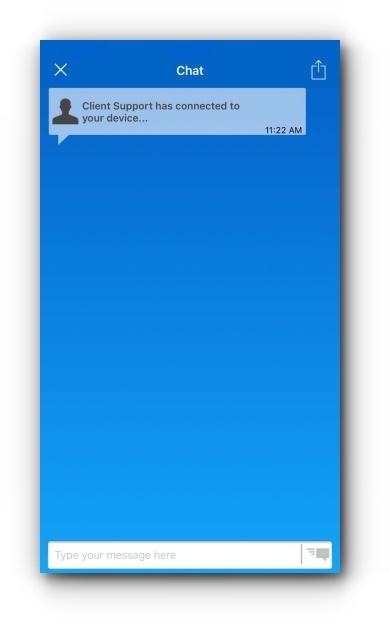 This application allows someone to view for phone screen at the same time chat with Vodien’s support engineers. Step 1. 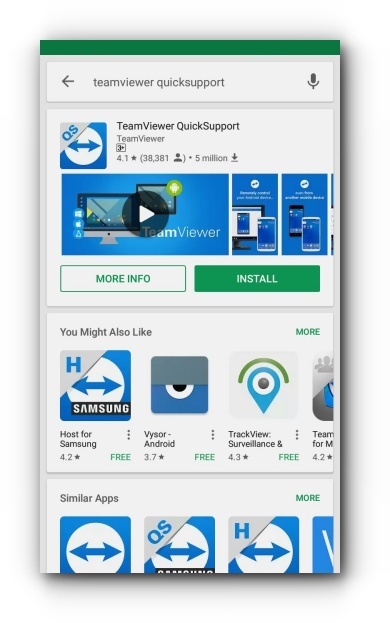 Install TeamViewer QuickSupport application from Play Store. If this is already installed, proceed to Step 2. Step 2. Access QuickSupport app. Step 5. 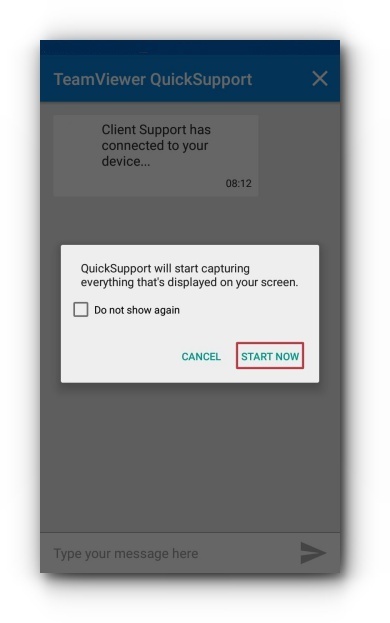 QuickSupport will start capturing. Tap ‘START NOW’. The support engineer would be able to view your phone screen and will guide you with your concern. Step 6. 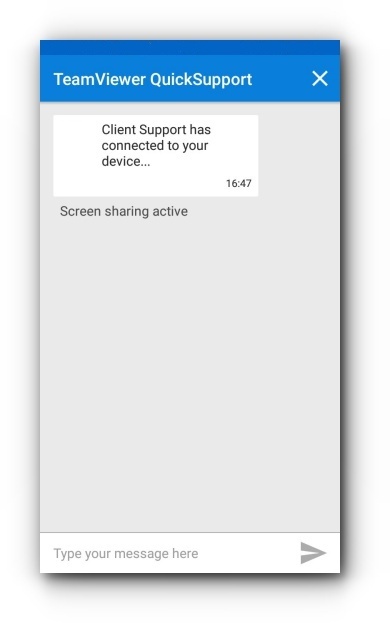 You can chat with the support engineer who is viewing your phone screen. Step 7. 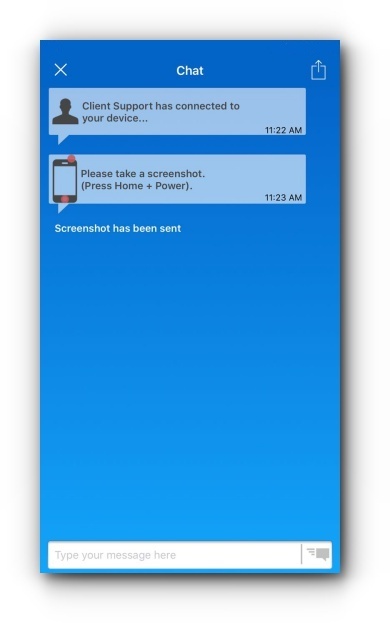 Support engineer can also request for a screenshot from your device.